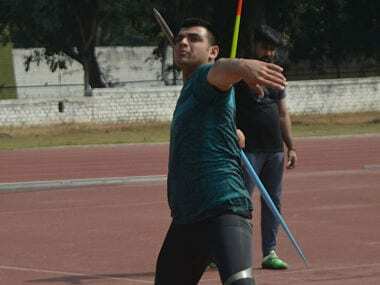 India's top javelin thrower Neeraj Chopra will make his Diamond League debut when he competes in the Paris leg of the prestigious series on 1 July, as he seeks top class competition ahead of the Asian and World Championships. The 19-year-old world junior record holder will rub shoulders with the best in the business, which will include the top three world leaders this season, including Rio Olympics champion Thomas Rohler of Germany. Besides Rohler, who is the current world leader with 93.90m, the other top two in the season's charts are German Johannes Vetter (season's best 89.68m) and Tero Pitkamaki of Finland (season's best 88.27m). This will be Chopra's first taste of top-level competition at the senior level. He won a gold in the World Junior Championships last year with a throw of 86.48m which remained his personal best. His season's best is 85.63m which he did while winning the gold in the Federation Cup National Championships at Patiala early this month. He has already qualified for the World Championships to be held in London in August. He will also spearhead the Indian challenge in the Asian Championships in Bhubaneswar from 6 to 9 July. Chopra, ranked 12th in the season's top list, is the youngest among the ten javelin throwers who will compete at the Charlety Stadium in Paris on Saturday. "I'm really looking forward to making my Diamond League debut and giving my best. This competition has been a target ever since the World (Junior) Championships in Bydgoszcz and I've been working really hard in Patiala in the run up to this," said Chopra. "The Diamond League is a competition where I stand to gain a lot of exposure and the experience will be of huge importance as I work my way towards the World Championships. I am really eager to be in the same fray as some of the finest in the sport," he added.